The Ultimate Gift Guide for Creatives: a list of gift ideas for creatives and artists in your life. Over 25 gift ideas for the calligraphy enthusiast, the hand lettering aficionado, the watercolor lover, and even something for the crafter in your life. Christmas is around the corner! And while I don’t necessarily think that Christmas should be all about gifts, I believe, the gifts you give should be meaningful. Sometimes it can be hard to pick the perfect gift for the artists in your life. But I’m here to help you choose a thoughtful (and affordable) present for your creative person. I put together a list of fantastic gift ideas for artists, crafters, and creatives in your life. These gift ideas are perfect for any special moment, birthday celebration, or just because. We all love those “just because” gifts and we can all agree they don’t happen often enough, right?. As they say, money can’t buy happiness, but it can buy craft supplies, and that’s kind of the same thing for any creative. There is no such thing as too many art or craft supplies! There is something so relaxing and exciting about opening a new art supply. It instantly changes your mood and makes you happy. I know I can’t be the only one who feels this way! 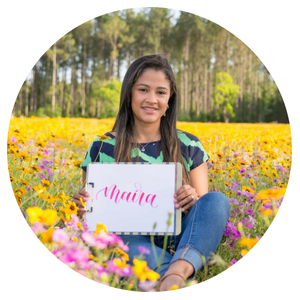 WANT TO LEARN CALLIGRAPHY OR LETTERING, BUT DON’T HAVE THE SUPPLIES YET? On the other hand, if you want to start learning calligraphy but don’t have money to spend on supplies, all you need is a pen and paper to get started. In these blog posts, I show you how to start making beautiful letters by using a pen and paper. Faux Calligraphy Tutorials: lowercase letters, uppercase letters, letters, and symbols. This post contains some affiliate links for your convenience (which means if you purchase after clicking a link I will earn a small commission, but it won’t cost you a penny more)! Read my full disclosure policy here. 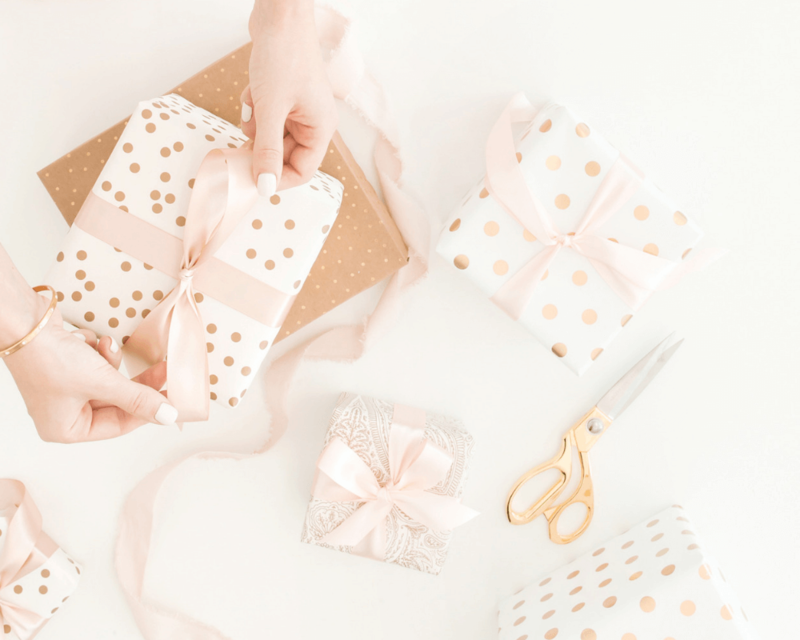 You can save these gift ideas by bookmarking this blog post or pinning it to your favorite Pinterest board using this link. Refer back to it any time you want to give your creative person a gift. These are the must-have calligraphy tools for Modern Calligraphy using a pointed pen. 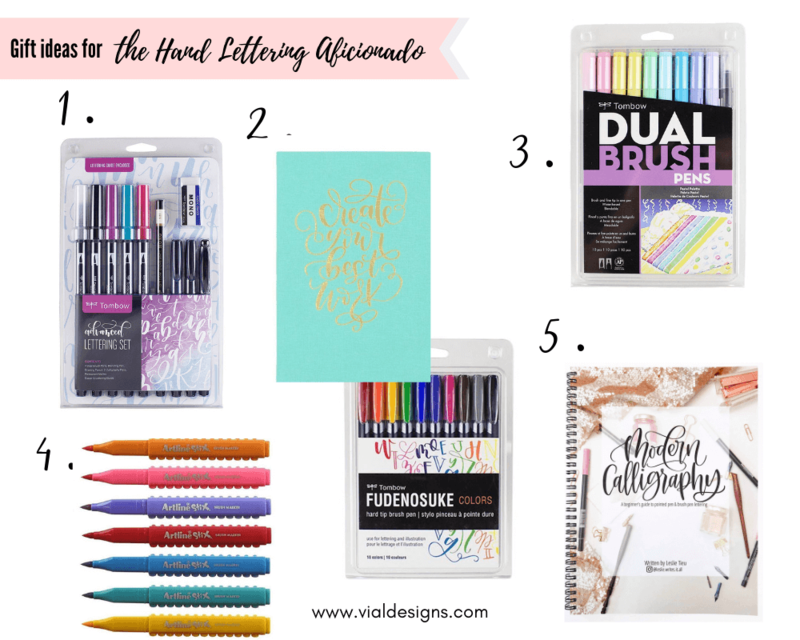 If you’d like a more detailed description of these tools, check this blog post where I share the best, pointed pen calligraphy supplies for beginners. Rhodia Pad. Quality paper is essential for calligraphy, and this is a great one to have. Moblique 2-in-1 penholder by Luis Creations. He created these pens this year, and I love them! I have *almost* all the colors. They look somewhat expensive but are very affordable. Turned Wood Oblique Holder: I own a couple of these oblique holders. I think they are gorgeous and super affordable. Tachikawa Comic Pen Nib Holder + Zebra G Pen 10 Nibs. This calligraphy pen holder is a straight one. This kit comes with Zebra G nibs, which are great for beginners. Dave Liu Pink Calligraphy Pens Set. I don’t own this particular set (😉). But the description says it has 17 pieces: a Glass Dip Pen and Wooden Pen, 10 Nibs, 4 Ink bottles, and a Glass pen holder. I think it’s an excellent deal for the price. Glass Dip Pen Set Vintage Handmade. I recently got a glass pen similar to this one. I have to admit; my glass pen is so gorgeous I’m afraid to use it! But I’ve seen so many videos about it, and it seems so fun to use that I had to include it as a gift option here. I’m planning to take this bad boy from its box soon and I’ll let you know what I think of it. Tombow Advanced lettering set. This set has everything you need to get started and continue working on your lettering skills. Each set includes four dual Brush pens, colorless blender pen, two Fudenosuke calligraphy pens, MONO Twin Permanent marker, MONO drawing Pencil and MONO eraser. Fudenosuke Colors Set + Tombow Dot Grid Journal Bundle. These Tombow Fudenosuke in Colors are a dream come true. Really! Since I started lettering almost three years ago, I always wished the Fudenosukes came in colors. Well, Tombow answered their customers’ wishes and came out with this color set this past October. I got this set and other goodies on their October VIP box, which I recommend. Tombow Dual Brush Pen Art Markers, Pastel. These brush pens are excellent for lettering. This pastel color set is so dreamy. If you want to be on the nice list for a VERY long time, then the set of 96 colors will get you there. Artline Stix Brush Pens are so much fun. They come in 16 different supper saturated colors and are fantastic for hand lettering. Also, their lego body makes it easy to connect the pens like blocks to create all sorts of shapes. Modern Calligraphy: A Beginner’s Guide to Pointed Pen and Brush Pen Lettering. I’ve followed the author of this book on Instagram for a couple of years now, and I love her calligraphy style. She’s also one of the nicest calligraphers on Instagram, and I was super excited to get this book when it first came out. I have to say it did not disappoint. What I love the most about this book is that it’s useful for both pointed pen and brush pen calligraphy. Win-win! 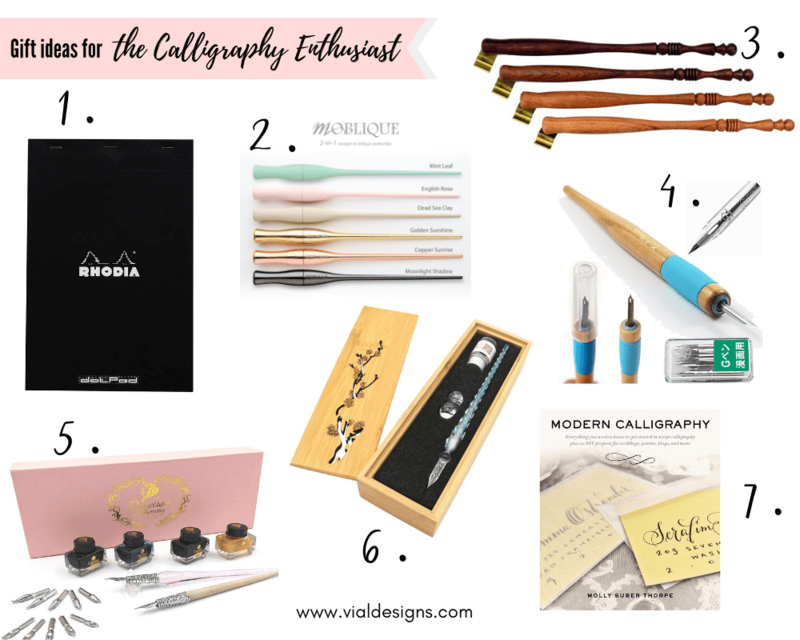 Check this blog post for a complete list of calligraphy supplies you need to get started. U.S. Art Supply Premium Heavy-Weight Watercolor Paper Pad. All paper is not created equal, and I learned the hard way when I started using watercolor. This one is a great option, but there are many others to choose from. Make sure the paper pad says it’s specifically for watercolor. Sakura Koi Field Watercolors with Brush Sketch Set. I love this watercolor set. It’s compact enough for traveling with it, and the colors have great pigmentation. The best part is that it comes with a water brush. Watercolor Brush Pens for Artists. I don’t have this particular set, but I have a similar one. It’s so fun using brush pens to do watercolor. Watercolor Paint Brush Set Acrylic Oil. 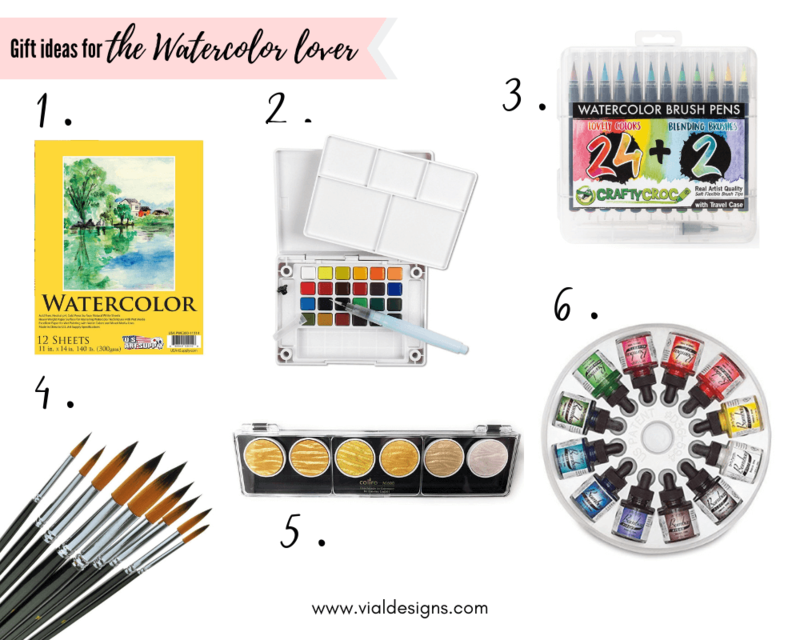 Brushes are a must for any watercolor artist. These are very affordable and great for beginners. Coliro Artist Mica Watercolor Paint, Metallic, Gold. This metallic watercolor set is gorgeous and a great addition to any watercolor lover’s collection. Dr. Ph. Martin’s Iridescent Calligraphy Color Bottles Set. The pigmentation on these ink is excellent for watercolor making it must-have for watercolor lovers. Shelf Utility Rolling Cart: This cart is an excellent addition to any crafter’s room. After seeing it on many of my creative friends’ craft rooms, I decided to get one too. I have to say this cart did not disappoint. You can storage pretty much anything you need, and it’s rolling part makes it so easy to take with you wherever you need it to go. Cordless Rechargeable Screwdriver. I have to say this tool has been a game changer for my craft journey. I now kind of upset I didn’t get one sooner. This screwdriver saves SO much time and a lifesaver when you are putting furniture together. Glue Gun Holster. I don’t own this gadget yet, but it’s definitely on my wishlist. Brother Sewing Machine. 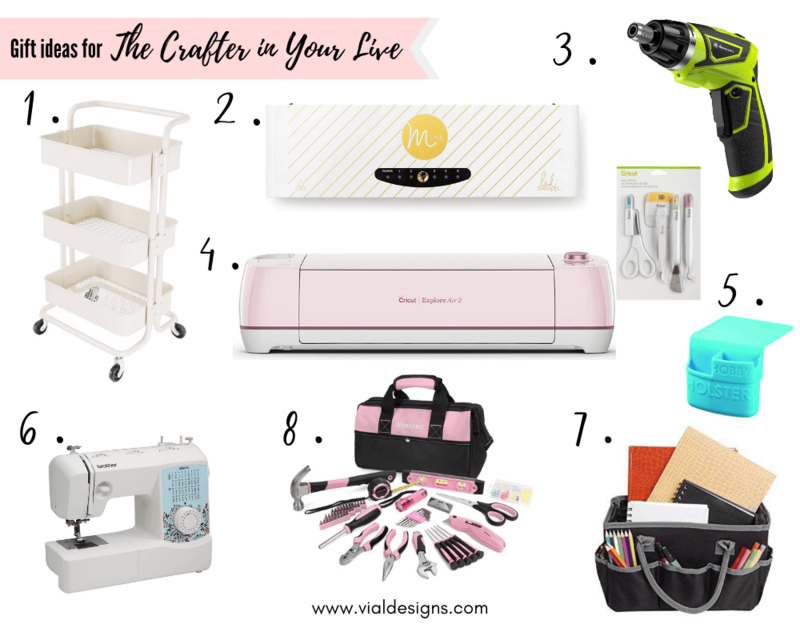 Having a sewing machine on hand comes handy from time to time for any crafter. This particular one is less than a hundred dollars right now, which is a perfect deal. I own a cheaper older version, which is perfect for my sewing needs because I don’t use it too much. Art Organizer Craft Storage Tote Bag Tote bags are always a good idea. They are SO functional and helpful for any crafting or art tools. This one is very affordable. If you’re looking for a fancier one, then check this one out. There you have it. A whole range of gift options to choose from! I hope you find this list helpful and the fortunate receiving the present from you loves as much. What matters is the thought behind the gift. And I know you’re putting effort into it because you’re here reading and researching for ideas on what to give your creative friend. WANT TO REMEMBER THIS FOR LATER? 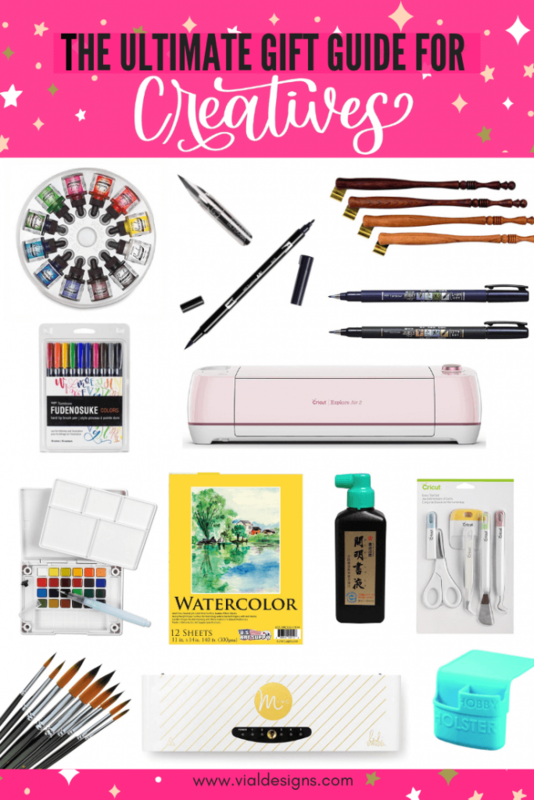 SAVE THIS ULTIMATE GIFT GUIDE FOR CREATORS TO YOUR FAVORITE DIY PINTEREST BOARD!